Inspired by the Sharp, Stewart & Company locomotives built in 1886 for the Clogher Valley Railway (N.I.). This 3' gauge railway ran for some 30 miles near to what is now the boarder with the Republic of Ireland. Sharp, Stewart & Company supplied six machines to the same design. The Clogher Class model is a scaled down representation of these handsome machines, and are suited to layouts representing 2' to 2'6" gauge. The image below shows the scale of the Clogher Class model, compared to the size of the original 3' gauge locomotives. 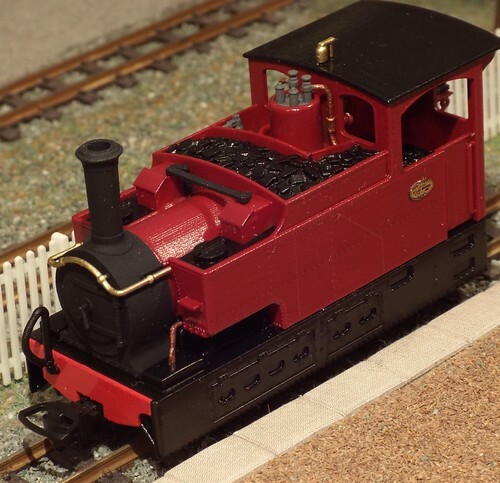 The model is powered by a Kato 11-103 chassis. 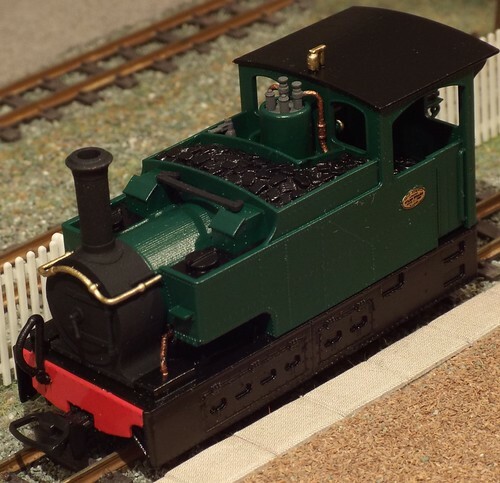 We have taken on board suggestions from the Glyn Valley Models to improve running quality, and these feature an increase in ballast weight. This extra weight has sacrificed the gap for a DCC decoder, so conversion would require the chip placing in the cab. To this end, there will not be a loco crew supplied with the model. The cab roof is removable to reveal the interior detail, including the distinctive Vacuum Brake Ejector/Controller on the right of the cab. The locos will be un-named, but include fitted Sharp-Stewart works plates. The models will also include flush glazing (not present on the prototypes pictured). 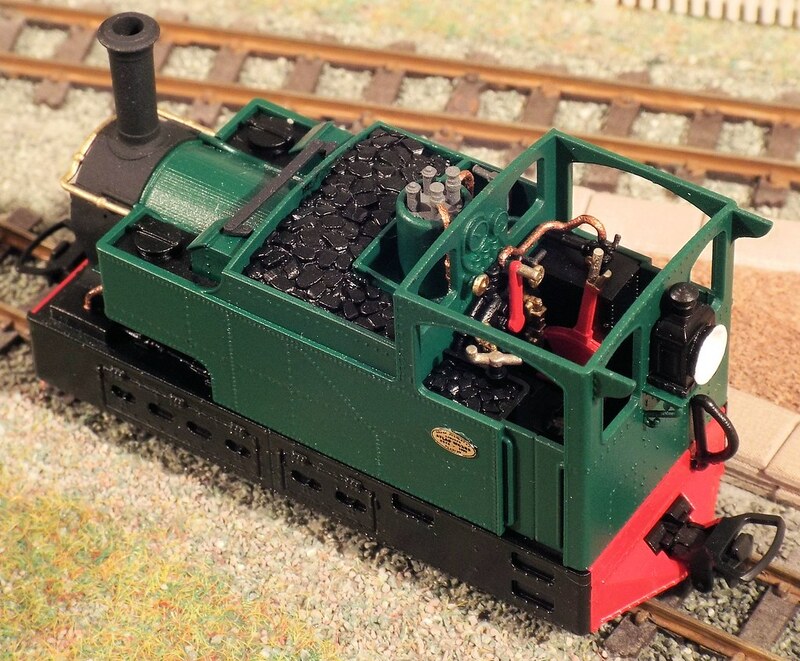 As usual, these models are equipped with NEM coupling pockets fitted with Peco GR-102 couplings. 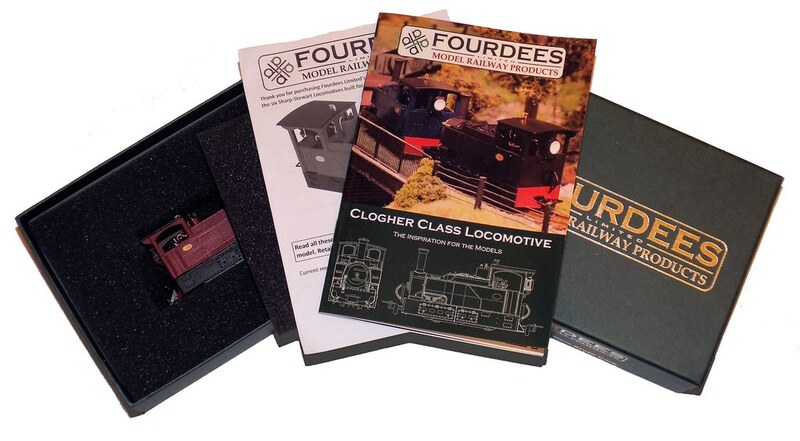 Each model is packaged with detailed instructions and collectors booklet, giving details of the model, the prototype and an anatomy of the features of the design. To give the models the optimum running quality, the body is completely filled with ballast. Any attempt to convert the models to DCC would require a decoder fitted in the cab. Please note that conversion to DCC will invalidate the chassis warranty. All versions are £124.50 + £4.40 postage (UK).